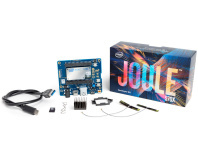 Intel has announced new entries in its MinnowBoard family of hobbyist-oriented development boards, adding a range of more powerful 64-bit processors with the promise of still more to come. Designed in partnership with CircuitCo and produced under the open MinnowBoard.org umbrellas, the original MinnowBoard proved a precursor to the far more affordable Arduino-compatible Galileo, and was announced as a response to the growing popularity of the ARM-based Raspberry Pi and AMD's overtures into the market with the APU-powered Gizmo. 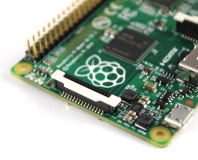 A high price and a relatively underpowered 32-bit Atom processor meant it was not, however, a particular success for the company - despite an open hardware design which left hobbyists free to peruse the firmware and board design to their hearts content. The MinnowBoard Max, a direct successor to the original MinnowBoard, is the project's attempt to learn from the past. The 32-bit Atom chip has been replaced by a 64-bit Atom E38xx Bay Trail Series system-on-chip processor, with Atom E3815 and E3825 single-core and dual-core models confirmed for launch and hints of a quad-core variant in the works. Users have access to 1GB or 2GB of DDR3 memory respectively, depending on model chosen. 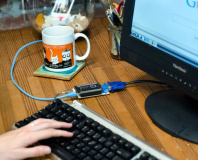 Designed as a development platform rather than a general-use computer, the new MinnowBoard Max features micro-HDMI video output, single USB 2.0 and USB 3.0 ports, a SATA 3.0Gb/s connector, and a gigabit Ethernet port, along with the promise of general-purpose input-output (GPIO) capability that shines: as well as eight buffered pins for easy experimentation, the MinnowBoard Max includes a low-speed expansion port offering SPI, I2C, I2S, UART, eight more GPIO pins, and power, and a high-speed port offering a PCI Express Gen. 2 lane, a further SATA 3.0Gb/s channel, a USB 2.0 port, I2C, JTAG debugging support and yet more GPIO pins. All these features come in a cut-down footprint of 99mm x 74mm, but it's the trimming Intel's done elsewhere that is really eye-catching: the MinnowBoard Max is to launch in the US at $99 for the single-core or $129 for the dual-core variants (around £59 and £77 respectively, excluding taxes), meaning a starting price of around half that demanded by the original MinnowBoard. Sadly for those salivating over the potential of the board, the MinnowBoard Max isn't quite ready for release with Intel and CircuitCo expecting to have the first models on shop shelves by June.